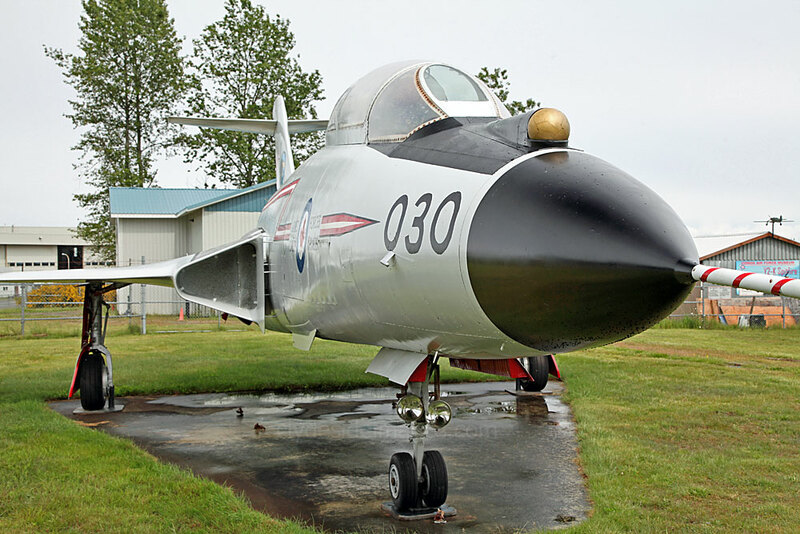 McDonnell CF-101B Voodoo 101057 guards the gate to CFB Comox. Last time on Vancouver Island, in June 2013, my wife and I spent a week based at Ucluelet on the west coast exploring the Pacific Rim National Park. 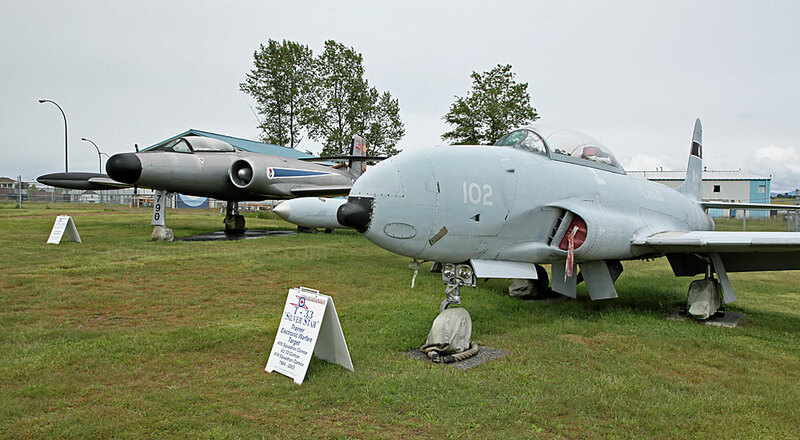 On the outward journey, I took the opportunity to check out the Comox Air Museum which is located right beside the main entrance to the Canadian Forces Base, just outside the town on the island`s east coast. The installation of the base near what was then a village during the Second World War brought new prosperity to the area and now Comox is a popular tourist destination in its own right due to its productive fishing, local wildlife, year-round golf and proximity to the Mount Washington ski area. 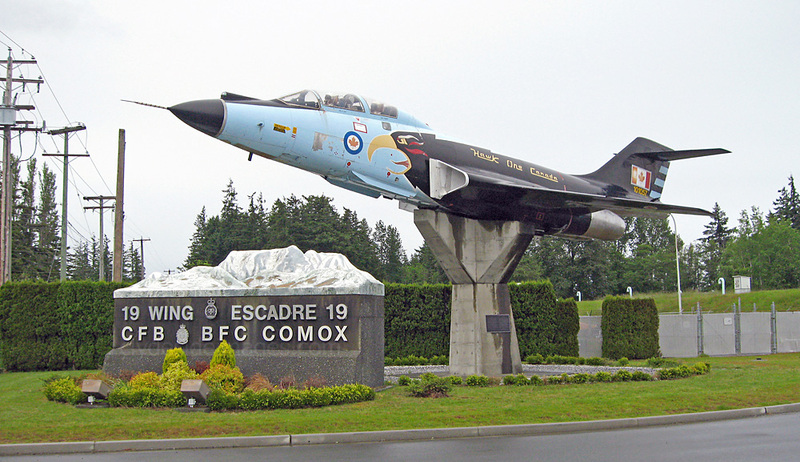 The military facility occupies part of Comox Valley civilian airport which is served by a number of commercial airlines. 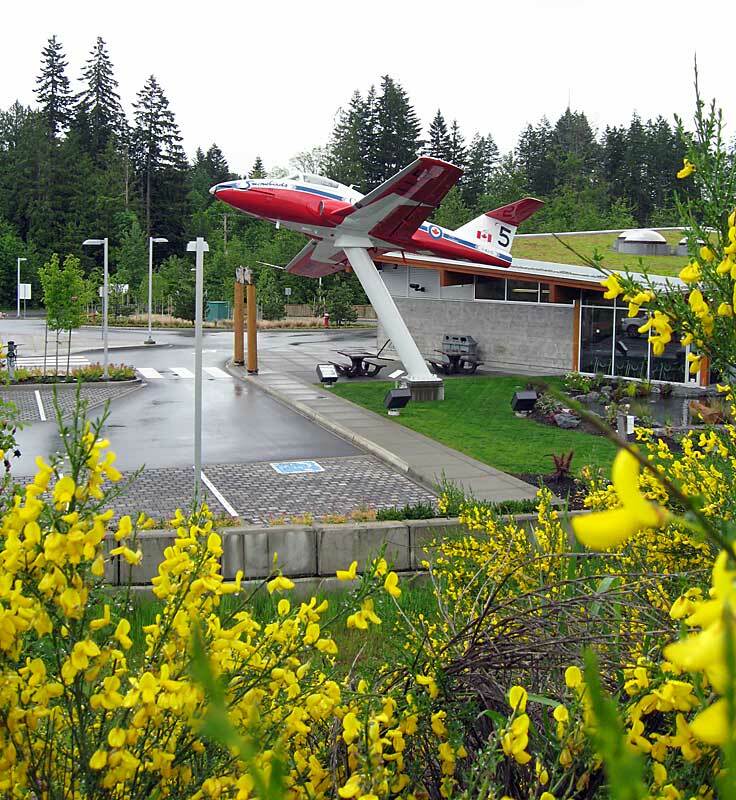 Although the Canadian Air Force`s equivalent of the Red Arrows, The Snowbirds, are based at Moose Jaw, Saskatchewan, they migrate to CFB Comox each Spring to practice over-water training. 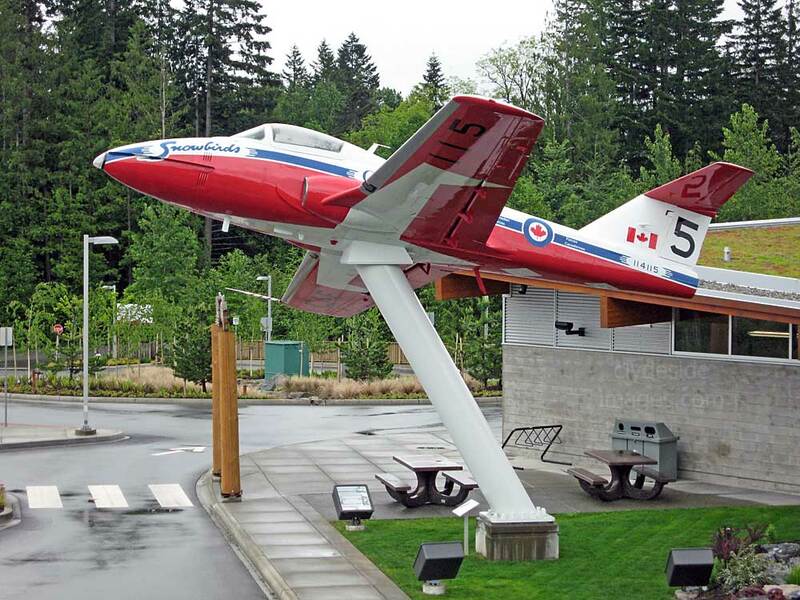 One of the team`s old aircraft, this Canadair CT-114 Tutor, serial number 114115, stands on a plinth outside the Comox Valley Tourist Information Centre just off the main highway between Nanaimo and Campbell River. A pair of hangars at Comox hold the the museum`s smaller display items and memorabilia but unfortunately I arrived at reception with only 25 minutes left to spare before closing time. I was advised by staff therefore to leave the indoor exhibits for viewing on another day and go directly to the Heritage Air Park where eight aircraft are on open-air display. 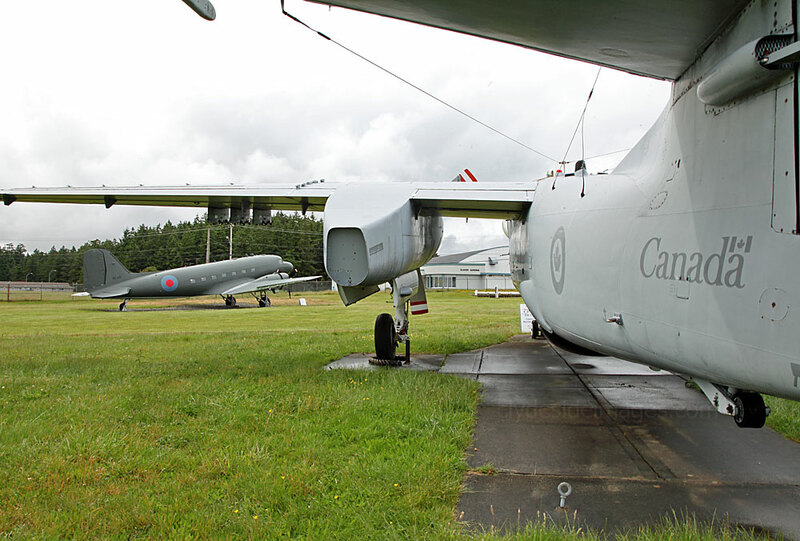 More information can be found at: www.comoxairforcemuseum.ca. 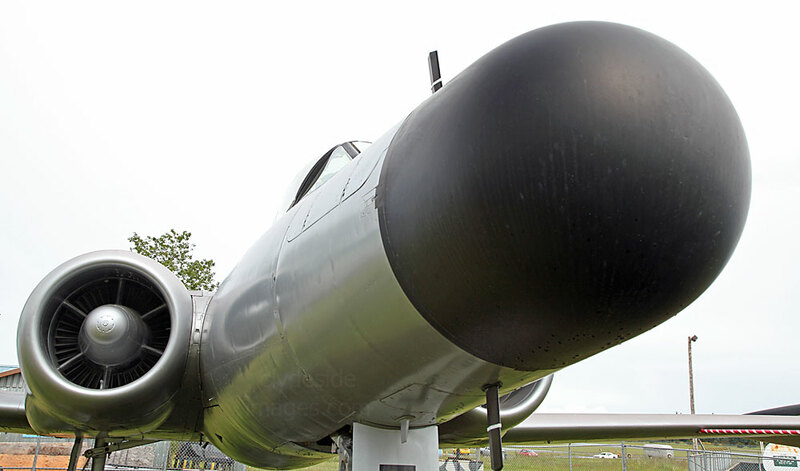 The Canadair CF-100 Canuck is an all-weather interceptor from the Cold War era. This was the first fighter jet to be designed and mass-produced in Canada, with its core task being to intercept Soviet bombers. It entered service with the RCAF in July 1952, and some later variants remained in service until December 1981. The twin-engined Canuck had a maximum speed of almost 890 km/h with a range of 3,200 kilometres and its short take-off and high climb rate made it an effective performer. Two wing-tip rocket pods could be replaced with auxiliary fuel tanks when the aircraft was tasked with reconnaissance or electronic warfare missions. 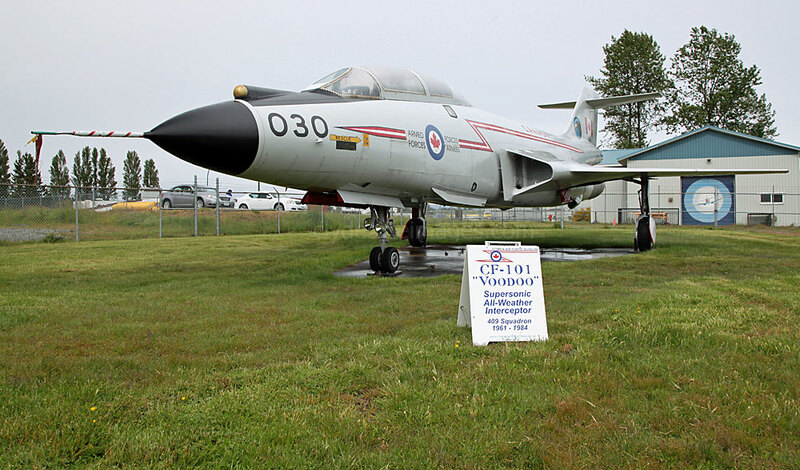 McDonnell CF-101B Voodoo, serial number 101030, was in service with 409 Sqn, RCAF from 1961-1984. ​The McDonnell CF-101B Voodoo, was a supersonic all-weather interceptor originally developed for the USAF as a single seat aircraft. The two-seater variant was intended to replace the RCAF’s by then obsolete CF-100 Canuck. Proposed primary armament was the unguided, nuclear-tipped Genie air-to-air missile, however, political controversy over the introduction of nuclear weapons to Canada meant that the Voodoo would be armed only with conventional Falcon air-to-air missiles, which were produced in both heat-seeking and radar-guided variants. The Voodoo carried a crew of two and had a maximum speed of Mach 1.72 (1,825 km/h) with a range of 2,450 kilometres. In June 1961, Canada purchased 66 almost new CF-101B Voodoos from existing USAF stocks. The deal transferred the aircraft to five front-line squadrons and an OTU. 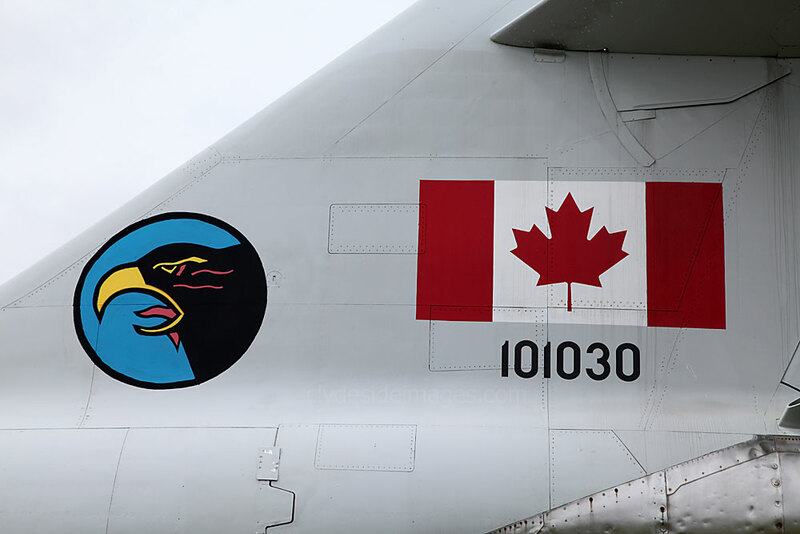 At the beginning of the 1970s, the original batch of RCAF Voodoos was exchanged for 66 newer USAF Voodoos with less flying hours on the clock. These replacement aircraft were equipped with a superior missile control system. In all, McDonnell Aircraft manufactured 479 F-101B Voodoos, between 1957 and 1961. Along with the US Air Force's Lockheed U-2 and US Navy's Vought RF-8 Crusaders, the RF-101 reconnaissance variant of the Voodoo was instrumental during the Cuban Missile Crisis and saw extensive service during the Vietnam War. Canadair CT-133 Silver Star 133102. 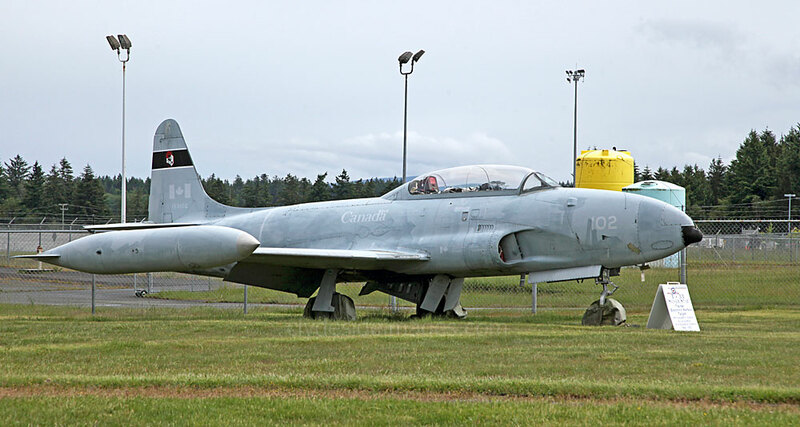 Above: The Canadair CT-133 Silver Star was the Canadian license-built version of the USA`s Lockheed T-33 Shooting Star jet trainer, in service from the 1950s to 2005. 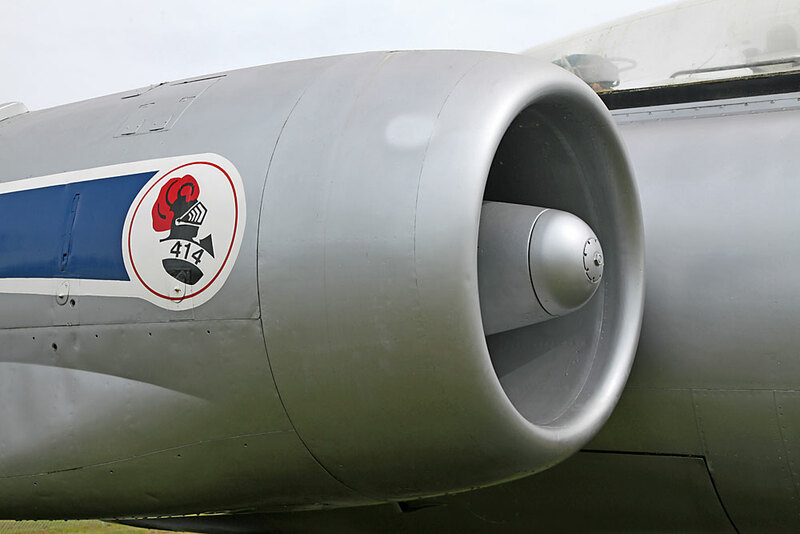 The Canadian version was powered by the Rolls-Royce Nene 10 turbojet, whereas the original Lockheed production used the Allison J33. 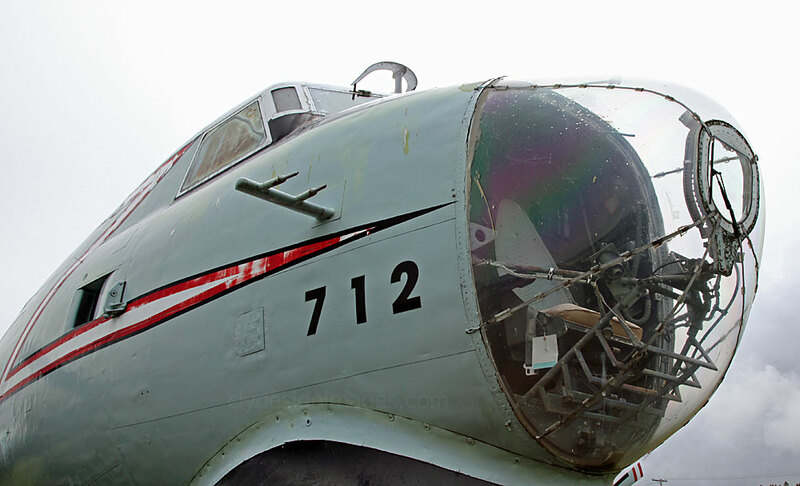 A total of 656 CT-133 aircraft were built by Canadair and many are preserved at various locations throughout the globe. 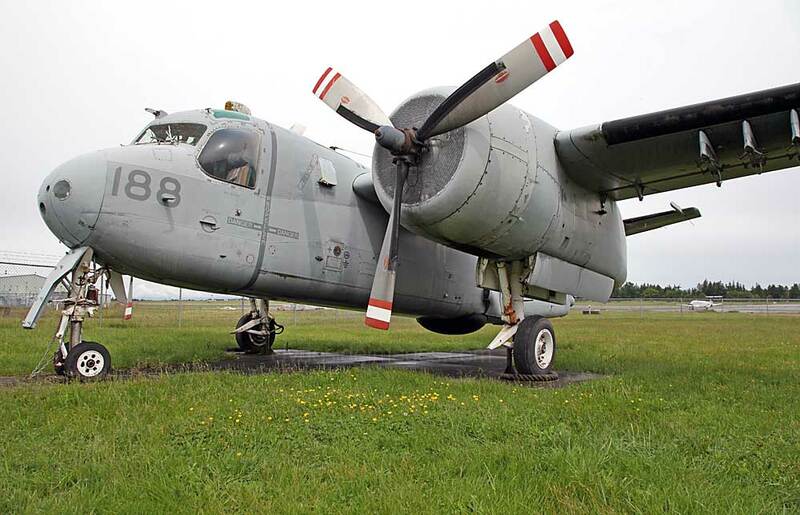 Grumman CS-2F (CP-121) Tracker 12188. 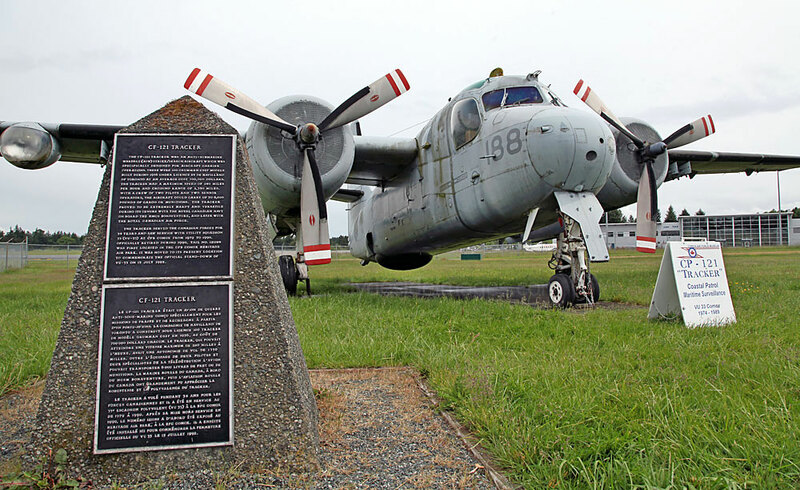 Introduced in 1952, the Grumman S-2 Tracker was the first purpose-built, single airframe anti-submarine warfare (ASW) aircraft to enter service with the U.S. Navy. ​The type was exported to a number of countries around the world and a total of 99 Trackers were built under license by de Havilland Canada, with the first Canadian-built aircraft flying on 31 May 1956. From 1957 onwards, these aircraft operated from the newly deployed aircraft carrier HMCS Bonaventure, until her decommission in 1970, and various shore bases. ​For such a compact airframe, the Tracker boasted a respectable amount of equipment to fulfil its duties, including a Magnetic Anomaly Detector (MAD) boom, surface-search radar, internal bomb bay for bombs, depth charges or torpedoes, spotlight, sonobuoy dispensers and wing pylons for bombs or rockets. ​Later, all Trackers still in service, had their anti-submarine equipment removed and were used for a variety of tasks including fisheries protection, anti-pollution and maritime surveillance. 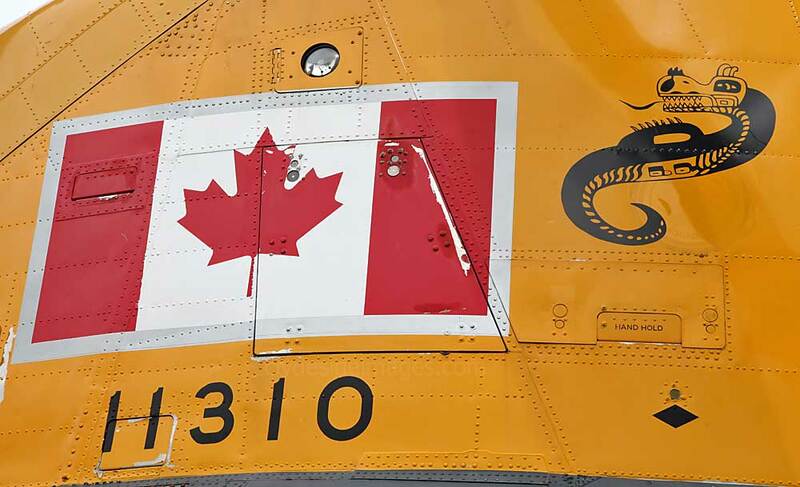 Many ex-Canadian Armed Forces Trackers have gone on to fill a fire-fighting role as water bombers, both in Canada and in the United States. 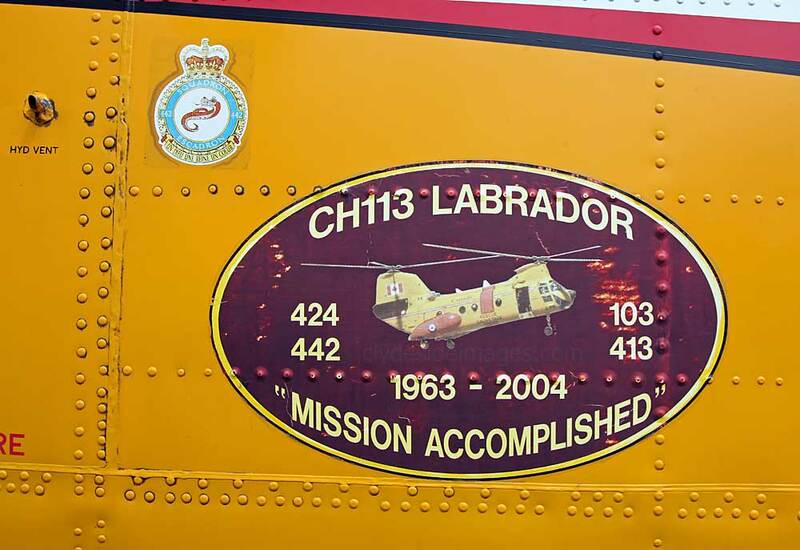 Boeing Vertol CH-113 Labrador, serial number 11310. 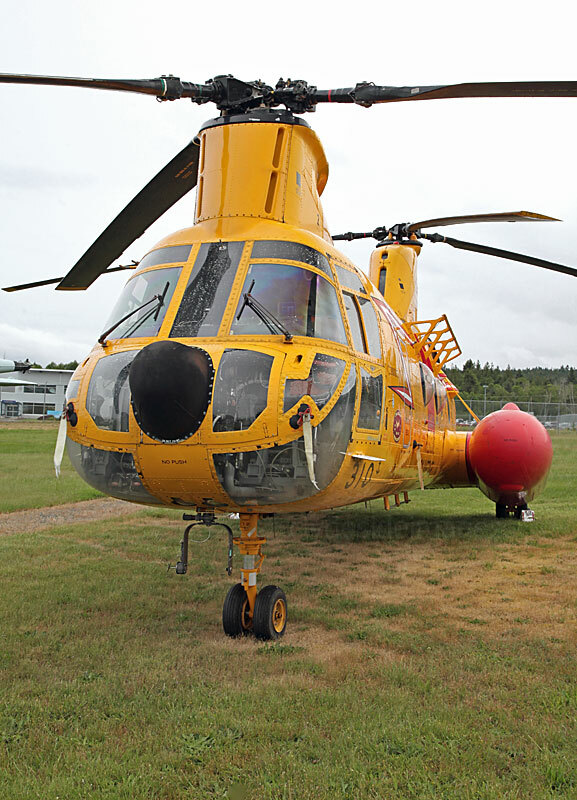 This was the Canadian version of the US Navy`s medium-lift tandem rotor CH-46 Sea Knight helicopter. 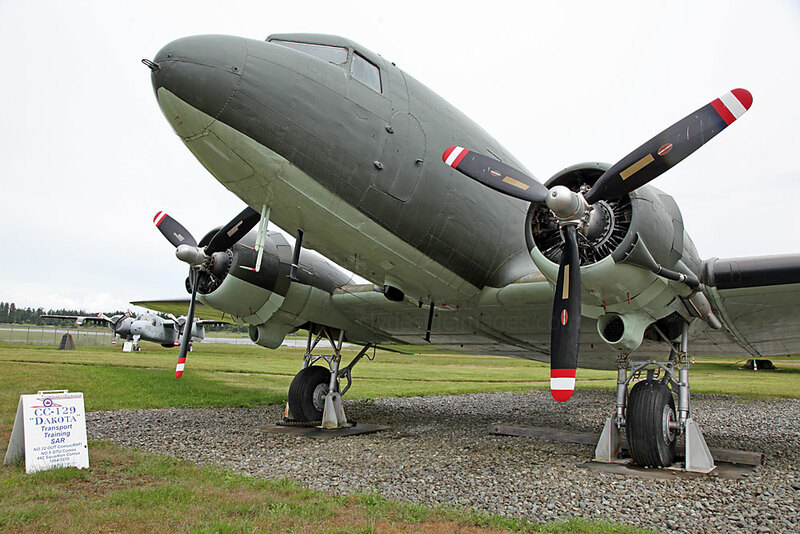 CC-129 is the Canadian designation for the iconic C-47 Skytrain, a military transport aircraft developed from the civilian Douglas DC-3 airliner. The robust workhorse was used extensively by the Allies during World War II and was instrumental in numerous large-scale Allied military operations including the D-Day landings, Arnhem and the Crossing of the Rhine. The type remains in front-line service with various military operators to this day. 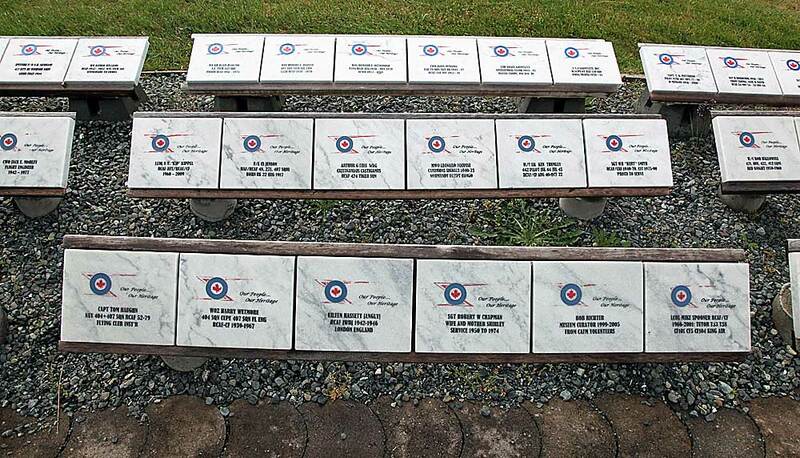 Also within the Heritage Park is a memorial to Royal Canadian Air Force personnel who lost their lives. 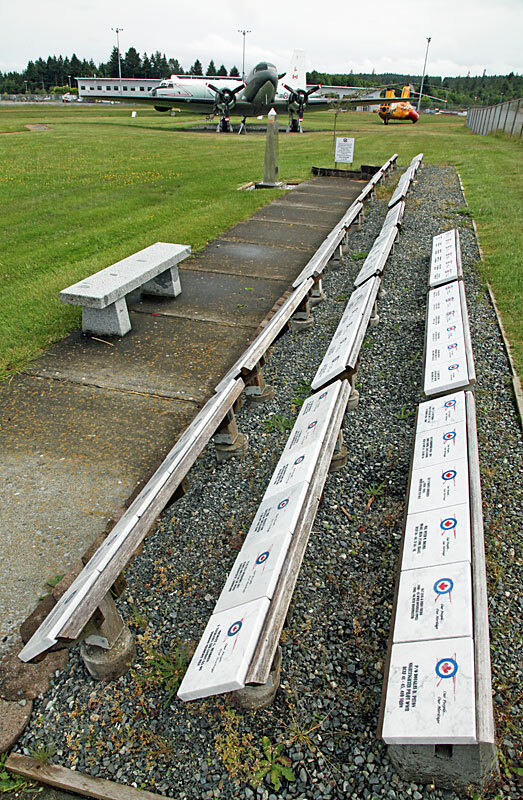 There are also individual memorials to members of No.407 and No.442 Squadron RCAF. 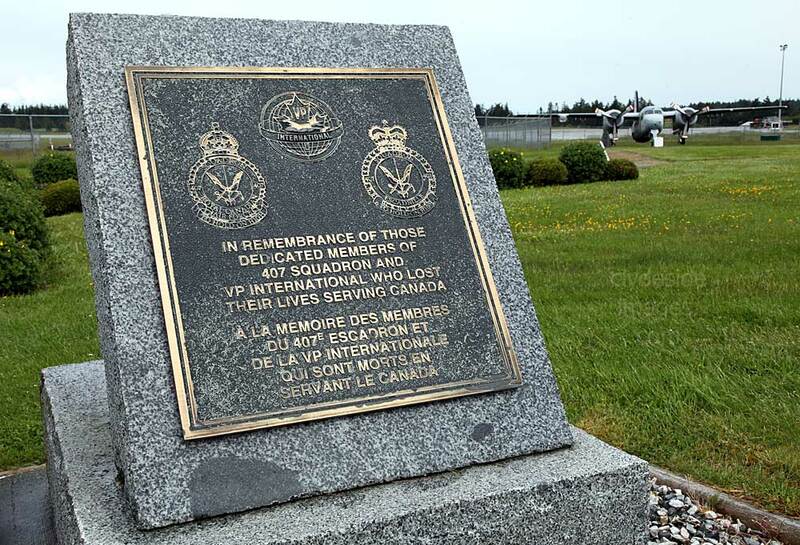 Another plaque is dedicated to the RCAF ground crews and support personnel who served between 1909 and 2009. 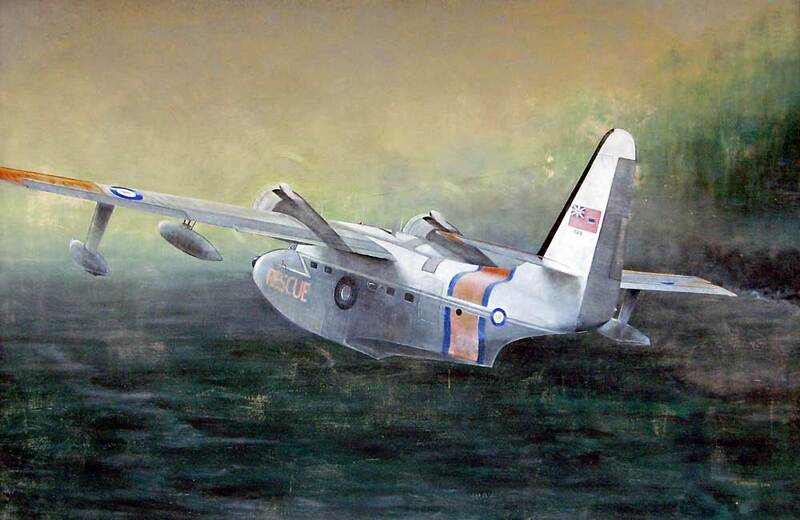 In the early 1950s, during the Cold War, submarines of the Soviet Navy were increasingly becoming a major threat to the NATO alliance, and it was urgent that Canada's armed forces be strengthened and provided with a replacement for the ageing fleet of WW2 Lancaster MK.10s that were performing the maritime reconnaissance role. 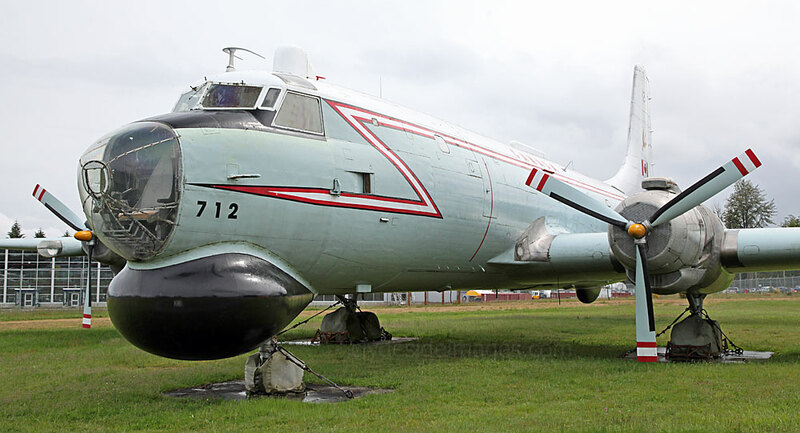 The answer was the Canadair CP-107 Argus (CL-28), a hybrid design derived from the Bristol Britannia airliner, which incorporated the same type of wings, tail surfaces and landing gear although the fuselage had been completely redesigned by Canadair. When work on the CL-28 began in April 1954 it was, at that time, the largest aircraft ever built in Canada. ​The Argus proved to be one of the most effective anti-submarine warfare (ASW) aircraft of its day, using a powerful search radar, sonobuoys, explosive echo ranging (EER) and magnetic anomaly detector (MAD) to detect potentially hostile targets. The CL-28 had an endurance of approximately 26.5 hours with full armament, however, an Argus flown by 407 Maritime Patrol Squadron held the Canadian military record of slightly over 31 hours for the longest flight by an un-refuelled aircraft. The Argus also packed a powerful punch with the bomb bay able to carry up to 8,000 lb (3,632 kg) of weapons, including torpedoes, bombs, mines and depth charges. 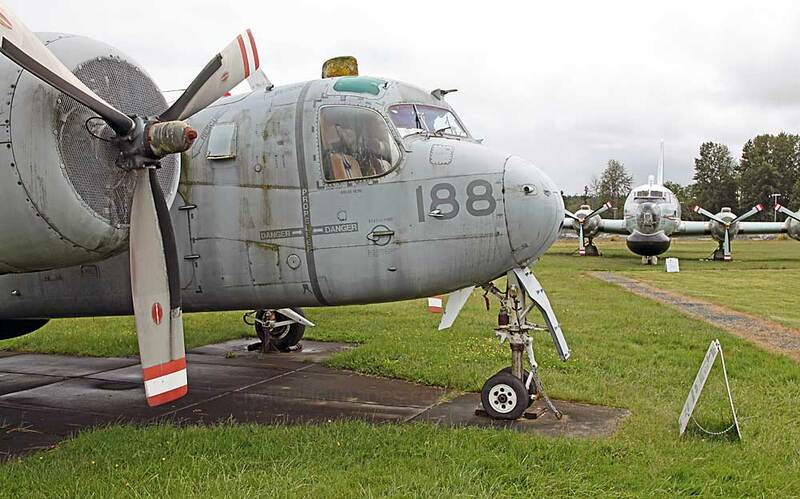 The only operational military aircraft visible on the CFB apron were a Buffalo and a CH-149 Cormorant helicopter. 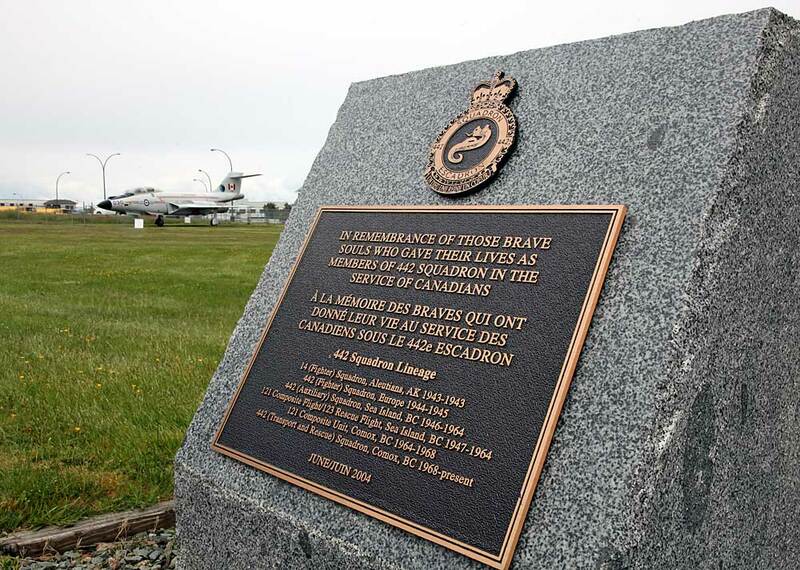 ​I stopped briefly at the Courtenay Air Park on the way to the museum. 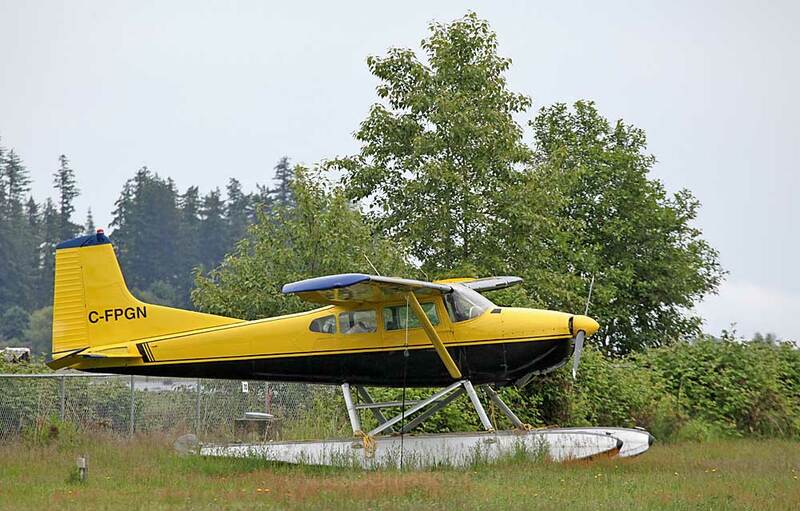 C-FXUN (above right) is a De Havilland Canada DHC-2 Beaver MK.1. 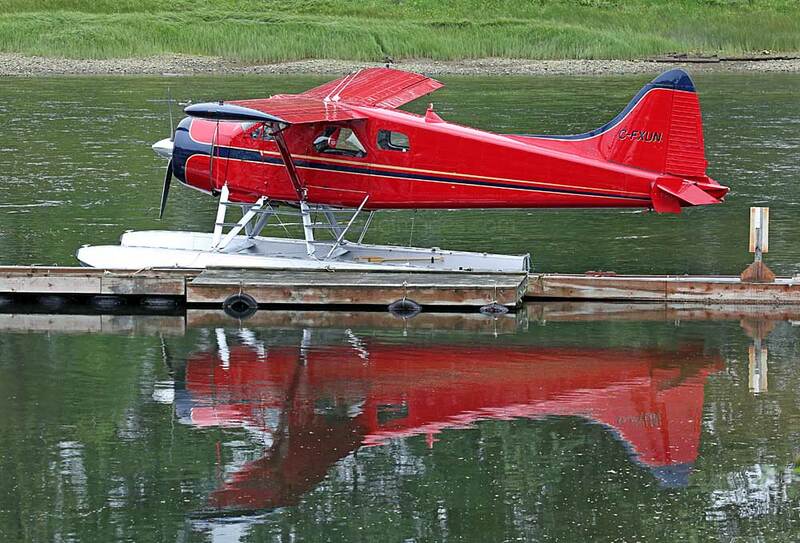 Other floatplanes present included C-FPGN Cessna 180G Skywagon and Stinson 108-2 CF-GYF. The Stinson dates from 1947.